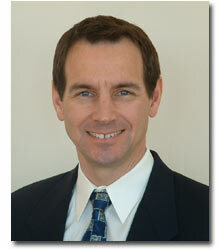 Dr. Harris was born and raised in Escanaba, Michigan. After graduating with honors from Michigan Technological University, he completed a Medical Degree at the University of Michigan. He completed a surgical internship and urology residency at the University of Kentucky. Dr. Harris was initially Board Certified by the American Board of Urology in February 1991 and recertified in 1998. He is an active member in the American Urological Association, Association of American Physicians and Surgeons, Societe' Internationale D'Urologie, as well as other local, state, national and international medical societies. Dr. Harris served in the U.S. Air Force as the Chief of Urology at Eglin Regional Hospital in Ft. Walton Beach, Florida for two years and as an instructor of surgery and urology at Wilford Hall USAF Medical Center in San Antonio, Texas. Dr. Harris pioneered the development of a contemporary and anatomically correct method of radical perineal prostatectomy for prostate cancer while teaching urology in San Antonio. In 1993, he moved to Traverse City, Michigan to practice urology and continue clinical research. In recent years, Dr. Harris's outcomes research has been expanded to other common urologic procedures, such as female incontinence surgery and vasectomy reversal. While he teaches his techniques worldwide, his publications reveal some of the most comprehensive analyses of clinical outcomes in the management of prostate cancer. Dr. Harris is also nationally recognized for his medical care system reform initiatives.